Do you need builders waste removal in Harold Hill RM3? Nobody wants to spend their precious free time loading up the car and making lots of round trips to the municipal dump. 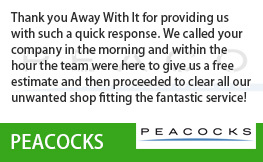 So if you have DIY or builders waste that needs removing in Harold Hill or Harold Wood, let us do the hard work for you. 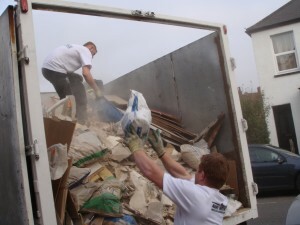 We supply builders waste removal Harold Hill firms and householders alike rely on for quality, service and convenience. We take our environmental obligations seriously. 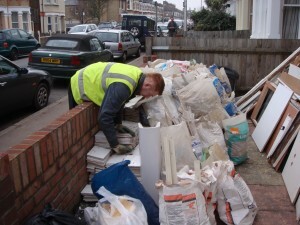 80% of the DIY and builders waste we pick up is recycled or re-used. As we’re fully licenced waste carriers, you can also be confident that any waste we can’t reuse will be properly and legally disposed of after removal too. 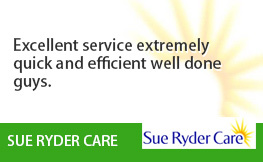 Unlike other DIY and Builders Waste Removal services, we work at times that suit our clients. 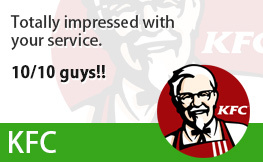 We operate seven days a week, from 7am to 11pm, and cover the whole of the RM3 area. We’ll even give you a two-hour time slot to ensure that you don’t have to wait around. And call an hour ahead to confirm our ETA. 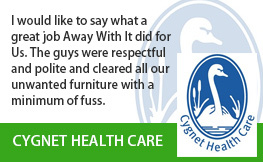 We are happy to offer a free, no obligation estimate. This includes labour, transportation and disposal fees for our DIY and builders waste disposal service. There’ll be no unexpected extras when it comes to paying the bill either. You only pay for the space you use in our truck. 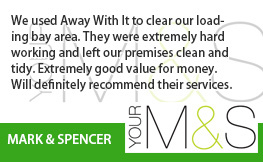 If we ever need to carry any DIY or builders waste through our customers’ homes, we put down our own dust sheets, and even give the place a good sweep and tidy when we’re finished too. 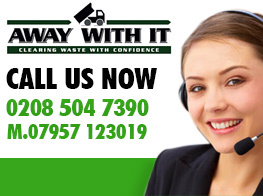 Call us on 0208 504 7390 or 07957 123019 to discuss your requirements for builders waste removal Harold Hill. 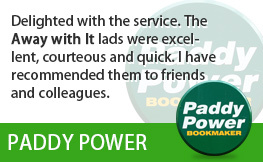 Our experienced team members will all too gladly answer any questions and recommend the perfect solution for your needs. Or for a fast no obligation quote simply fill out our handy online form and we’ll get back to you in a jiffy.